As I grew older, reading became my way of escaping to another time and place. 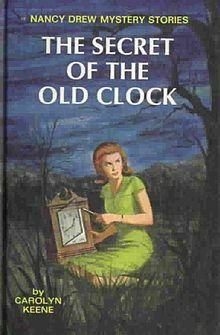 Once I was introduced to Nancy Drew I proceeded to devour each and every one of her adventures. Saturdays were typically spent holed up in my bedroom reading the latest installment from her book club cover to cover. As a teenager, I graduated to the Agatha Christie mysteries. I'm pretty sure I've read each of her books too. 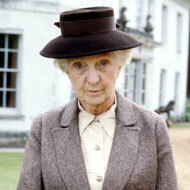 Miss Marple, a keen old spinster from the town of St. Mary Mead, was one of my favorite characters. When something comes up several times in a short time span, I've learned to pay attention. I found it interesting that just as I was getting ready to study the Book of Revelation, it showed up in a Masterpiece Mystery movie on PBS featuring Miss Marple. In the film, "The Pale Horse," Miss Marple receives a letter from a friend who is a minister; the next day she learns he has been killed, which spurs her to investigate. Miss Marple replied, "It's the book of Revelation, chapter 6, verse 8." She looked up the passage in her Bible and read, "And I looked, and behold a pale horse! And his name that sat on him was death, and Hell followed with him." "I don't like the sounds of that," the maid remarked. Miss Marple replied, "Well, it's the Bible, dear. I'm not sure you're meant to." I wasn't sure how to take that statement. Was Miss Marple saying that we're not supposed to like what we see when reading the Bible? That it was written to scare us or condemn us? Or was she referring specifically to the Book of Revelation? I remember as a young Christian being warned not to read Revelation because it was too scary. How can that be? It's a part of the Bible, isn't it? There's a reason Scripture is called the Good News! 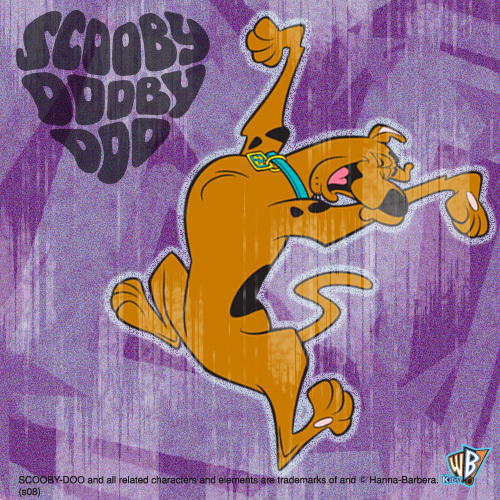 When I think about it, reading the Bible is similar to reading those old mystery stories. The truth is revealed to those who investigate! One has to be focused on what he or she is reading and willing to do a little digging to make real sense of things. We also need to be willing to honestly investigate our lives, to compare how we're living to how God instructs us to live. While it's true that all have sinned and fall short of the glory of God (Romans 3:23) and the wages of sin is death, we must also recognize the gift of God is eternal life in Christ Jesus our Lord. (Romans 6:23) In Him we have nothing to fear! Lord, I'm so grateful that you haven't left us to struggle to decipher Scripture on our own, but have given us your Holy Spirit to guide us and help us understand. Please continue to fuel my desire to comprehend your Word and make the changes in my life necessary to live according to what it says. Good one Lisa. Another of Agatha Christie's characters was Hercule Poirot. He often said was seems to be is often not. You have to look at what you see from all perspectives and then decide what must be true. I'd forgotten about Poirot's line, Steve. I think that's very true - what seems to be is often not. We need to look below the surface!